While we’ve spoken at length about the curative properties of Black Cumin Seed Oil, it also has remarkable effects on your skin. Human skin can come under attack in a variety of ways and there are several conditions that you may experience during your life. Some of these only cause cosmetic issues, whereas others can lead to permanent scarring. A few skin conditions lead to irritation and a select few can lead to long-term damage. Black Cumin Seed aka Nigella Sativa can help you with the vast majority of skin conditions that you might experience. Here’s a quick rundown of the various conditions that it can provide a natural remedy for. One of the most common skin complaints, eczema is characterised by blotchy and dry red patches on your skin. These patches can cause intense discomfort due to their itchiness. Scratching often leads to skin flaking away from the body, leaving uncomfortable tender zones underneath. Eczema is an inflammatory condition, which means that anti-inflammatory medications can help. Black Cumin Seed Oil has proven anti-inflammatory properties that make it a great choice for anybody struggling with eczema. Just a couple of drops on your skin per day can soothe the inflammation and lead to healthier skin. Many people confuse psoriasis with eczema. But they’re actually two very different conditions. Where eczema is an inflammation of the skin, psoriasis occurs because of an unbalanced immune system. Your skin will develop thick pink patches, some of which can feel itchy. In many cases, these patches are also large enough to cause cosmetic embarrassment. Black Cumin Seed Oil helps because it’s able to regulate your body’s immune system. Moreover, it can help you to prevent the cell proliferation and overgrowth that creates the pink patches most commonly identified with psoriasis. Better yet, the oil can help you to deal with the pain and irritation that the patches can cause. Though commonly associated with the teenage years, many adults suffer from acne outbreaks for many years after puberty. Unfortunately, acne is a slightly more difficult skin condition to nail down. Its causes can vary from inflammation of the skin through to infections and your diet. Drinking more water and eating a healthier diet can help you to deal with acne, in some cases. 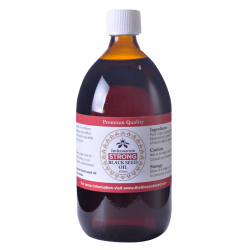 However, Black Cumin Seed Oil provides a more reliable solution. Again, the oil’s anti-inflammatory properties come to the fore, as they can eliminate the tenderness and irritation that comes with acne. The oil also contains valuable nutrients that you may not be getting from your diet. 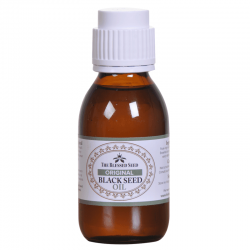 As a result, you can use Black Seed Oil both as a skin cream and a dietary supplement when it comes to acne treatment. Unlike the rest of the skin issues on this list, a burn occurs because of exposure to an outside element. Black Cumin Seed Oils anti-inflammatory properties can help you to deal with small burns. Moreover, its microbial properties can deal with the bacterial infections that sometimes occur in the wake of a burn. Of course, you should always seek medical assistance in the case of severe burns. As you can see, the various properties of Black Cumin Seed Oil make it an excellent choice for dealing with skin conditions of all types. All that’s left now is to visit our Beauty products section. 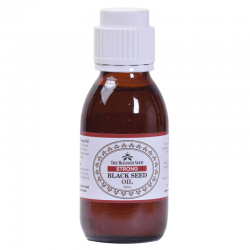 At The Blessed Seed, we supply Black Cumin Seed Oil with a high volume of volatile oils. 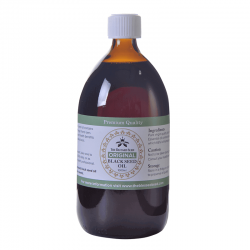 This oil contains the active compounds that make Black Cumin Seed Oil so effective. Visit our store today to find out more.